Ron Turner is the founder of Last Gasp Publishing in San Francisco. Engel is a Brooklyn based artist originally from Haiti who is the subject of the soon to be released documentary, “Someway, Somehow.” A Swedish artist recently painted a portrait of Engel that was featured last month at the National Portrait Museum in London, England. Brent Roske is an Emmy nominated writer, producer, and director. He is currently putting on an original play, ‘Lincoln’s Last Interview’ which will be performed in the Capital Building in Des Moines on August 23. Mr Roske is also working on a film called “Chasing the Hill” starring Richard Schiff and Robin Weigert. Jimi Petula is an American filmmaker, entrepreneur and educator who is known for his Mentor/Apprentice approach to learning. He is the founder and CEO of RRF, Inc., which offers mentor based courses in film, recording, and radio. 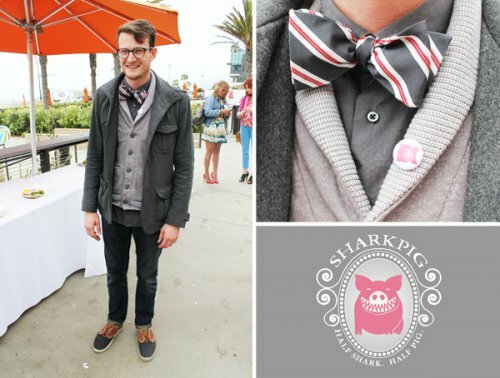 Brian Morrow is the Co-Founder and Creative Director of Shark Pig in Los Angeles, CA. He is currently producing a film on the life of film director Hal Ashby. Mel Sauerbeck is an awarding photographer. His photos have appeared in major magazines worldwide including Time, Life, People, and Sports Illustrated. During his career, this style-making photographer has traveled the world, photographing everything from heads of state in their palaces, to monks along mountain paths, to models on the catwalk, to children in remote villages. Though his work covers almost every type of photography and his images span the range from travel, nature, beauty, fashion, editorial, lifestyle, fine art, and commercial photography, his preference is to focus on the beauty in life, which can easily be seen in his many photographs. Ms. Jackie Laulainen is a travel blogger at TheBudgetMindedTraveler.com She is also author of The Aspiring Travel’s Handbook: A Preparation Guide to International Travel. Mr. Steven White is a producer, director, and actor. Steven’s grew up in the film industry. His father was a cinematographer for Cecil B. DeMille. Steven is currently the founder and president of the Shakespeare Ensemble Company based in Fairfield, Iowa.